The saga continues as Urban Reflex leads us through Halo history to the present. Originally posted at HBO. Need to get caught up? Part 1 is Mantle, Part two Mendicant. During the early years of the 26th century, the human race is being split by civil war. The space-faring civilisation spans several hundred worlds; divided into the ‘Inner’ and ‘Outer’ colonies. The Outer Colonies feel they are unfairly overlooked by the controlling Unified Earth Government, believing the Inner Colonies and Earth receive preferential treatment. As the violence escalates, the United Nations Space Command – the military arm of the UEG – initiates the classified Spartan-II program. Brainchild of Dr. Catherine Halsey, the aim of the project is to create a unit of enhanced super soldiers to surgically strike at the insurrection. Selected from the superior end of the genetic pool, seventy-five mentally and physically gifted children are abducted into the program from across the colonies. They are taken to the UNSC’s military capital, Reach, and become the charges of CPO. Franklin Mendez. He ensures that not only do the Spartans receive the most vigorous physical training and best military schooling; but that they are instilled with a strong sense of right and wrong too. Spartan-117, John, quickly ascends to squad leader. At the age of fourteen the trainees are biologically augmented to make them faster, stronger, and smarter. Thirty-three candidates survive the procedures, whilst the rest either die or are too disabled to continue active service. A few months later, John leads a squad on their first ever mission; to infiltrate an insurrectionist stronghold and capture their commander. The mission is successful. On the Outer Colony world of Harvest, humanity makes first contact with an inter-species conglomerate known as the ‘Covenant’. Led by the San ‘Shyuum, this collection of species reveres the Forerunners as gods, believing that in their disappearance they achieved immortality. In hope of discovering the key to this feat – the Halos – all Covenant ships are fitted with a ‘Luminary’ device that detects Forerunner artifacts. The Kig-Yar vessel involved in first contact reports back that Harvest is covered in such treasures, and three San ‘Shyuum politicians plan to use this information to install themselves as leaders of the Covenant. However, first they must receive a blessing from the oracle – a barely-active Forerunner AI rigged to the Forerunner keyship that powers the Covenant’s artificial home world, High Charity. The oracle reveals that these are not Forerunner relics, but ‘reclaimers’. Taking this to mean that humanity are descendants of the Forerunners, the three San ‘Shyuum realise their religion is based on a falsehood that would tear the Covenant apart. To maintain the status quo, they declare war on the humans; ascending to become the High Prophets of Truth, Mercy, and Regret. Accelerated by the commencement of these hostilities, the Spartans travel to Chi Ceti VI with Dr. Halsey. Here they are fitted with MJOLNIR exoskeletons; powered assault armour that only a soldier with the augmentations of a Spartan can use. The suits not only double the strength of the user, but decrease reaction times by a factor of five. It isn’t long before the suits are put to the test; a Covenant vessel attacks the planet and John-117 proposes to use their new EVA capability to board it. Once inside, the Spartans arm three nuclear warheads on a timer. His suit ruptured by plasma fire, Samuel-034 is forced to stay behind and guard the devices as the others escape. A Covenant vessel attacks the planet and the Spartans are forced to put the armour to the test. John-117 proposes using the suit’s EVA capability to board the ship and destroy it from the inside. They succeed in arming three nuclear warheads, but Samuel-034 has his suit ruptured by plasma fire, and is forced to stay behind as the others escape. One by one, Outer Colonies are being lost to the Covenant. Using their Luminaries to discover each human world, they quickly dispatch the UNSC defense and employ streams of plasma to burn the surface to glass. VADM. Preston Cole retakes Harvest after a six year campaign, but it is a rare victory and comes at a loss of thirteen ships to defeat one Covenant destroyer. The UNSC enjoys more success in ground action, thanks mostly to the deployment of the Spartan-IIs. They prove efficient in combating both Covenant and insurrectionist forces alike, suffering minimal casualties. Due to the overwhelming advantage of the Covenant in space however, such engagements are either sporadic, or rendered obsolete once the battle moves star-side. Disgraced after a failed coup within his clan, Sangheili Ripa ‘Moramee is installed as the ‘Arbiter’ by the Prophet of Regret. In this role, a Sangheili is sent on near-suicidal missions to regain their honour through death. ‘Moramee is tasked with locating Forerunner artifacts and this leads him to the discovery of a shield world, containing hundreds of ancient warships. The Arbiter is tracked by the UNSC Spirit of Fire, which gains access to the shield world shortly after the Covenant. Both parties are surprised to discover a virulent life form is present in the sphere, one that attacks and mutates either side without distinction. Undeterred, Regret is eager to proceed with activation of the Forerunner dreadnoughts. He realises that – because of their true legacy – only a human can accomplish this, though he cannot reveal that to ‘Moramee. Instead, he carefully manipulates the Arbiter into using the captured Professor Ellen Anders for this task. However, she manages to escape and warns Spirit’s Captain, James Cutter, of the Covenant’s intentions. He orders the shield world destroyed, devising a plan to cause the artificial sun to go supernova by detonating Spirit’s translight reactor. The timing mechanism is damaged in the fighting so, after killing ‘Moramee. Sgt. John Forge stays behind to initiate the detonation manually. Regret flees, though without the power of the dreadnoughts he hoped would quickly end the war. Spirit of Fire also survives, with Cutter, Anders and three Spartans on board; but with no superluminal capability, the ship floats aimlessly in space. Whilst on a mission investigating potential rebel activity, Spartan-051, Kurt, is abducted by the Office of Naval Intelligence. He is reassigned to the top secret planet of Onyx, and set to work training the next generation of Spartans. He is reunited with SCPO. Mendez. ONI has concluded that there are not enough Spartan-II personnel to turn the tide of a war humanity is badly losing. The Spartan-III program is intended to mass manufacturer cheap and expendable super soldiers on a grander scale. They would complete their missions through teamwork and greater numbers, with little reliance on technology. After several successful engagements, Alpha Company is deployed to take out a Covenant shipyard. Whilst the mission is a success, and the shipyard is disabled, the three hundred Spartans of Alpha Company are completely wiped out. Kurt-051 puts this down to a lack of unit cohesion, and is determined that this will not happen with his next set of recruits. As the Covenant sweep into the Inner Colonies, ADM. Cole leads a battle group pursuing them from world to world. His becomes the only fleet to continuously emerge victorious against the Covenant; though this is mainly due to enjoying a massive numerical advantage and still costs him a large percentage of his ships. In response to the interrogation of a Sangheili prisoner, he creates the ‘Cole Protocol’. In order to prevent the Covenant from discovering more human worlds, UNSC ships are required to wipe navigational databases, flee away from human population centres, and self destruct in the event of boarding. Cole’s luck appears to run out when he engages a Covenant fleet nearly twice the size of his own. His flagship, Everest, is caught up in the resulting supernova of a gas giant after nuclear warheads are fired into it’s atmosphere. Half of the UNSC fleet present survives, and the Covenant forces are annihilated. Cole’s apparent death is suspect, however, with strong evidence suggesting he escaped at the last second. Spartan-III Beta Company is deployed to halt a Covenant refining operation on a small moon. 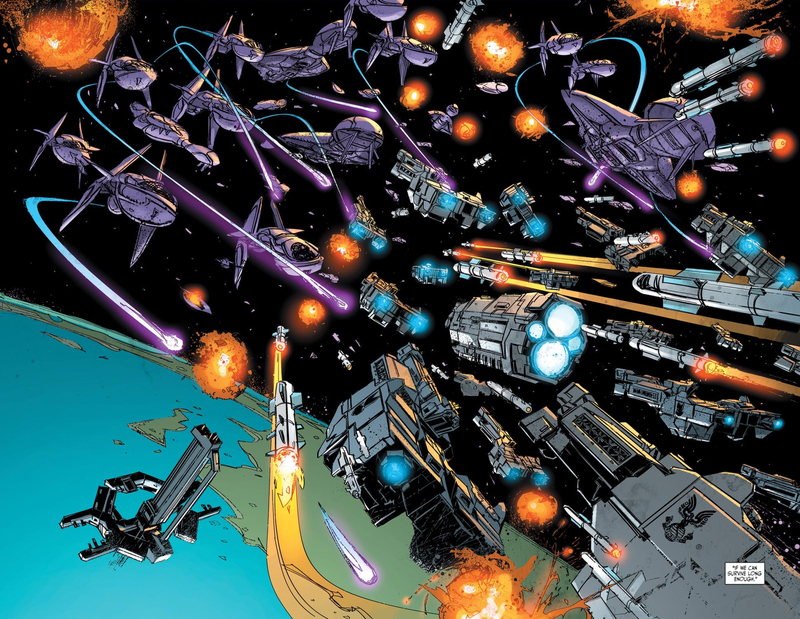 The battle turns against the Spartans when seven Covenant cruisers deploy reinforcements to the battlefield; but the refinery is still destroyed. All but two of Beta Company are killed in action. The Spartan-IIIs remain classified, but as the war continues to go badly ONI goes public with the accomplishments of the Spartan-II program. This is an attempt to raise morale, as each Spartan-II is said to have killed thousands of Covenant in battle. ONI ensures that no Spartan is ever listed as KIA, giving rise to the myth that “Spartans never die”.